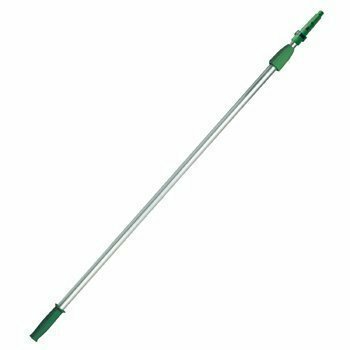 Unger sturdy, 4-foot, 2-section telescopic extension pole is constructed of anodized, extruded drawn aluminum with 3-1/2-inches nylon locking collars and ErgoTec snap-in locking cone. Handle grip is ergonomically designed for comfort. If you have any questions about this product by Unger, contact us by completing and submitting the form below. If you are looking for a specif part number, please include it with your message.